Build the home of your dreams! 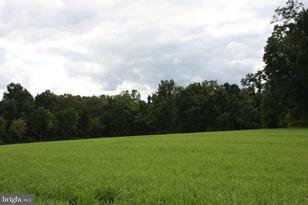 Gorgeous almost 2 acre lot surrounded by rolling hills and farmland. Located close to the prestigious Lauxmont Farms Community, High Point Scenic Park, Klines Run Park, Susquehanna River Boat Launch, Native Lands Park, Sam Lewis Park and the Mason Dixon Trial, this lot is an outdoor seekers jackpot. Exclusive builder Marshall Construction. No mobile homes or modulars. Perc approved lot. Driving Directions: York - East Prospect Road through East Prospect. Left onto Klines Run Road, property on left. 1155 Klines Run Road #3, Wrightsville, PA 17368 (MLS# 1009979890) is a Lots/Land property with a lot size of 1.83 acres. 1155 Klines Run Road #3 is currently listed for $79,000 and was received on October 16, 2018. Want to learn more about 1155 Klines Run Road #3? Do you have questions about finding other Lots/Land real estate for sale in Wrightsville? You can browse all Wrightsville real estate or contact a Coldwell Banker agent to request more information.